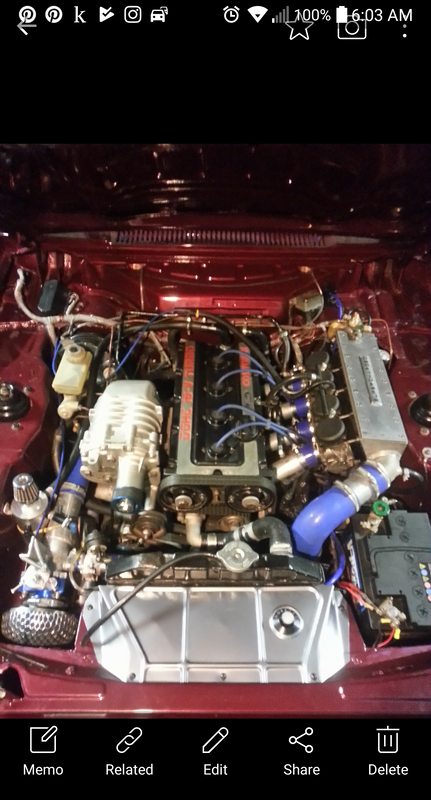 I have a 2.3 sohc lima turbo. For nothing but fun I twincharged it with an m62 from a Mercedes clk (mag pulley eliminated) then blew into that with a H1c Holset turbo with a large exhaust turbine housing. My aim was to compound the boost beyond what the back pressure is at the turbo, change up what the normal characteristics are for a turbo only motor. Using a 44mm external wastegate for the holset turbo. 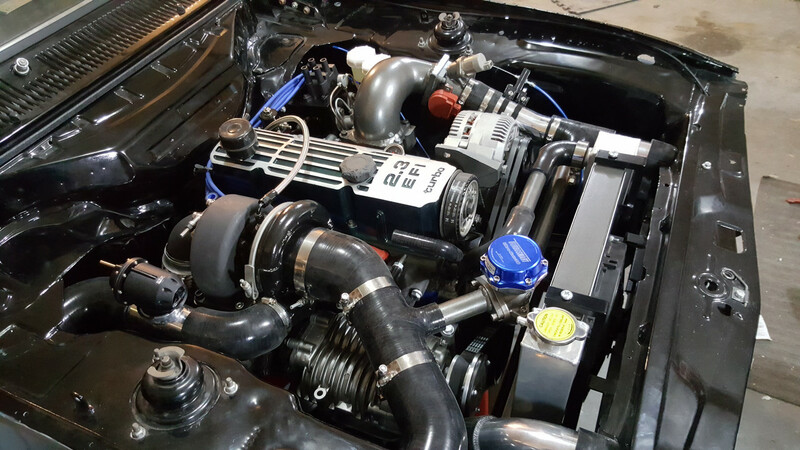 BOV in between the turbo and charger. Megasquirt 3 pro engine management. Spring installed in wastegate, boost builds from turbo and the compounding charger supplies 8.5 psi MAP at approx 4k rpm with around 4-5 psi from turbo.. I was expecting the charger to compound the boost the whole way up the rev range.. Take whatever is presented to its inlet and compress it further.. Some time ago, I attempted using an external gate as a bypass on an Eaton SC in blow through configuration like yours, but wasn't able to get it to function as needed. The problem may have been in the way I'd installed it, but trialling different setups didnt improve the outcome. I've since changed to a series of staggered opening point factory bypasses* and this has worked perfectly. The pressure can be vented back to the aircleaner, or straight to atmosphere. But both.... Now, thats something. Like a lancia delta rally car. Disable (block) the bypass and see what happens. I Have a supercharger bypass butterfly valve from a mini Cooper i used on another install. It wouldn't glide onto boost very well when being used as a BOV and vented to atmo, it would flip onto boost very uncontrollably so part throttle driving/cruising was a real pain. I had to install a throttle body before the charger to get it all to behave..
2 throttle cables, pita of course..
What you mean by staggering opening points.? Thats a parallel type sysyem. Either one or the other, getting the transition from one to the other isn't easy too.. But its still only turbo only up top. I'm trying to compound boost beyond exhaust turbine back pressure. 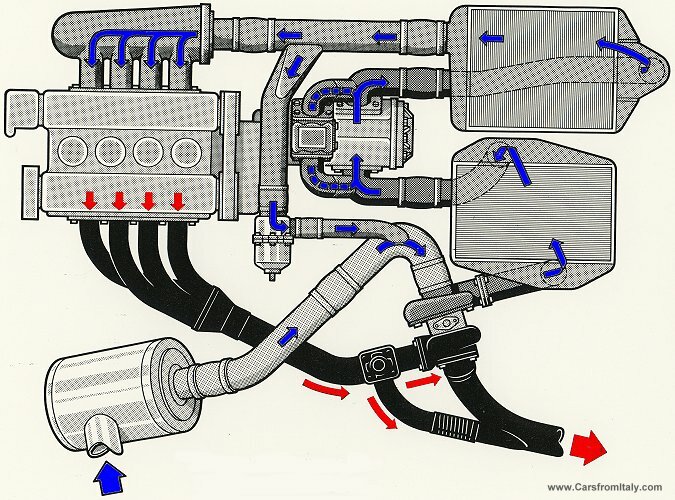 Have more pressure at the inlet valve than back pressure at the exhaust valve.. most turbo engines will create way more back pressure than boost..
Run a custom cam thats not turbo profile. No residual gasses hanging around, less prone to detonation... More ignition timing. Blow straight through with no restriction. That's was the plan anyways!! Last edited by craigory on Wed Jun 20, 2018 8:23 am, edited 1 time in total. Yes... I have an idea to try now you mention that.. Thanks! I have a gut feeling about the bypass is to small. A supercharger can only make a certain volume flow at a fixed speed and if the turbo doesn't get enough flow into the inducer you the pressure before drops and PR goes up and you have built a "restrictor turbo" and that caps the mass flow. Bypass valve bleeds all boost at high rev closed throttle. Could you make a simple drawing of your setup? Air filter- turbo- W2A intercooler- supercharger- FMIC- throttle body. Bypass valve just before throttle body dumping back to after air filter. My bypass is an external wastegate with a weak spring setup like a BOV. But I suspect the compound boost is pushing the wastegate off its seat..
Now I get it, thought you had the supercharger before the turbo... So ignore my post. I think you are right, the bypass have too weak spring. Like others already said, try block it and see if it helps. Same for some reason i think the first post gives this impression. Those superchaegers are of the centrifugal compressor type, the roots wont provide much of any compression, its a fixed volume pump. A screw may compound better.